Prior to launching our efforts inside Syria, Mercy-USA had been assisting Syrian refugees in Turkey and Lebanon since June 2011. Currently, Mercy-USA is assisting refugees in Wadi Khalid an already impoverished area of Lebanon bordering Syria. This region, now reeling with an influx of thousands of Syrian refugees, lacks modern or adequate medical services, and the refugee crisis has strained the health service infrastructure beyond its capacity. Mercy-USA is addressing this serious threat to the health and well-being of these refugees and their host communities. 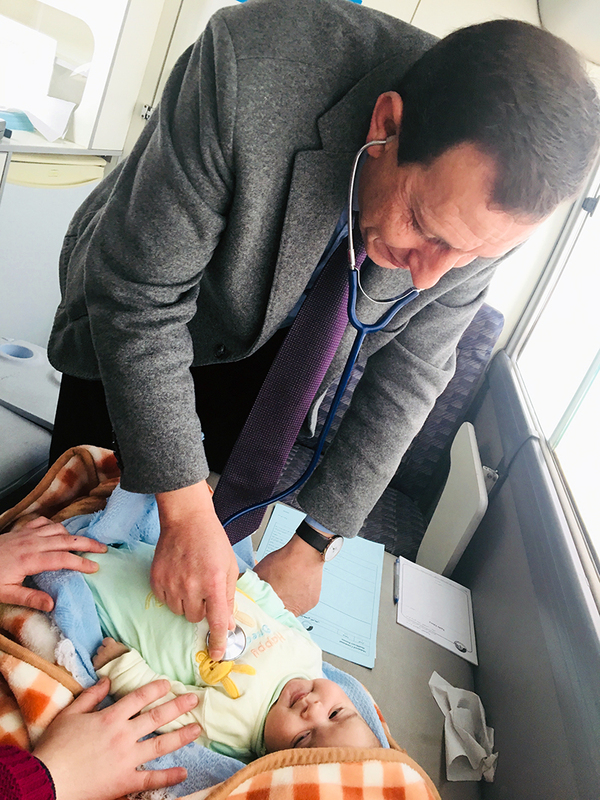 Since February 2012, Mercy-USA has supported a mobile medical unit that travels four days per week to villages in Wadi Khalid where local families are hosting Syrian refugees. This modern mobile clinic provides disease-preventing vaccines, pre- and post-natal care, and regular medical exams. UPDATE: February 28 2019 The Ministry of Public Health in Lebanon has declared a measles outbreak among children, including Syrian Refugees. The surge in refugees since the war in Syria began has created a significant strain on Lebanon’s health system. Children are not being vaccinated against this disease, which can be deadly–especially for children under five. Before this recent outbreak turns into an epidemic, we need your help to vaccinate thousands of children with an urgent mobile medical vaccination program. PLEASE DONATE TODAY AND SAVE CHILDREN FROM A DEADLY MEASLES OUTBREAK!